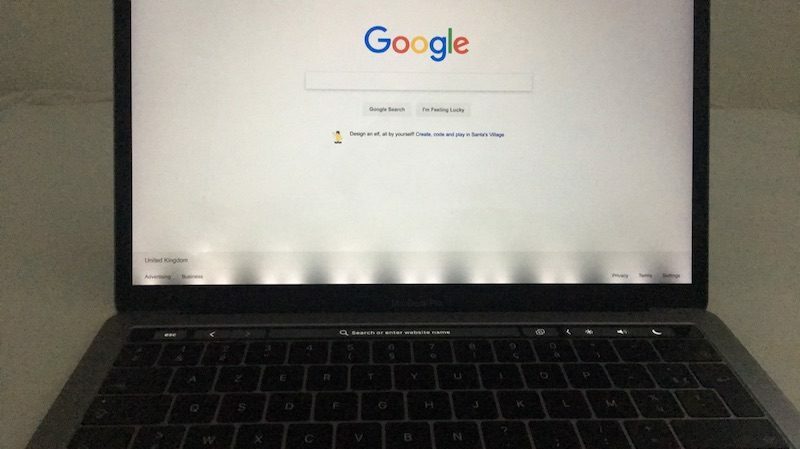 An increasing number of users have experienced backlight issues on 2016 and newer MacBook Pro models, particularly those with the Touch Bar, often resulting in a so-called "stage light effect" along the bottom of the display. According to the repair website iFixit, which highlighted the issue today, the underlying cause is Apple's use of thin, fragile flex cables that connect the display with the display controller board on 2016 and newer MacBook Pro models, as opposed to the more durable wire cables used in previous generations. When it first debuted, the design seemed fine. But as always, the devil is in the details. Apple opted for thin, fragile flex cables as opposed to the beefier wire cables used in previous designs that could be routed through the hinge instead of wrapped around it, helping mitigate the stress of repeated openings and closings. In a nutshell, the normal, repeated opening and closing of the display lid can result in the thin flex cables becoming fragile and breaking over time. And since the issue takes time to manifest, the affected MacBook Pro models are often outside of Apple's one-year warranty period when they start exhibiting symptoms. Many examples of the issue have been documented on the website Flexgate, in the Apple Support Communities, and in the MacRumors discussion forums. It's unclear how many users are affected, but the number continues to increase. 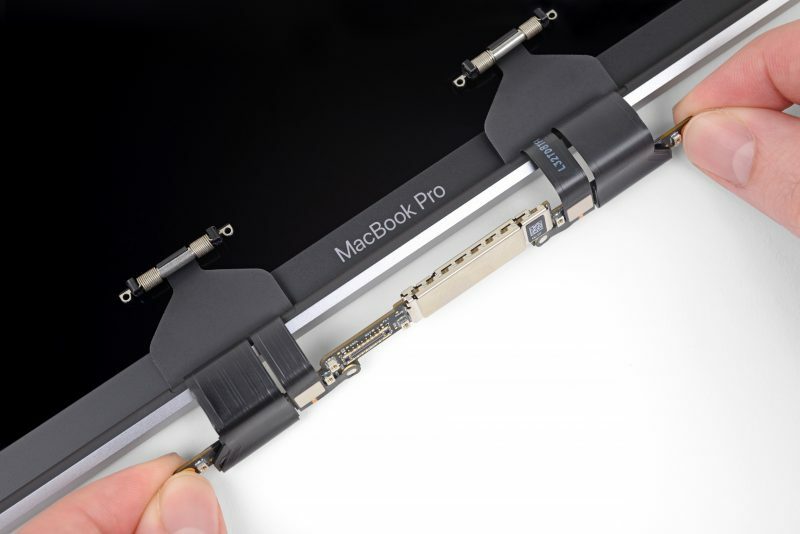 The problem gets worse when affected customers take their MacBook Pro to Apple for repair, as iFixit claims that the flex cables are integrated into the display and cannot be replaced individually. Instead, the entire display assembly needs to be replaced, turning a cheap repair into a costly $600-plus one. While some customers without AppleCare+ have managed to get a free or reduced-cost repair, it appears many have been required to pay in full. Apple has not launched a public-facing repair program for this issue, and we're not aware of any internal one either. A petition urging Apple to launch such a program has amassed over 2,200 signatures. Apple did not immediately respond to a request for comment, but we'll update this article if we hear back. Cutting corners while raising prices. Keep doing this and see how long you stay in the black, Apple. I dare you. This is what the relentless pursuit of "thin" gets you. This is why I ALWAYS buy AppleCare. Some people cheap out on it and then this happens and what would have been free is now $600. ALWAYS buy the extended warranty. Better yet: never buy products that always require extended warranty. wish Apple would swallow their pride and redesign this machine. keyboard issues and now this.. im staying away until it gets a major redesign.. even if that means another 5 years. It just never stops, I think even Apple at this point wishes a real Time Machine would exist so they could undo all this 2016 and later MBP crap. I can't imagine them refreshing the MBP this year with the same enclosure or sales would drop even further. I would love to replace my 2013 Air, don't care how much it would cost me but I just can't take a risk this high. It's a shame. Tim saved 50 cents per MacBook with this.